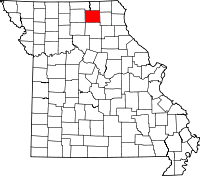 Adair County has, like all Missouri counties, a number of methods to obtain vital and non-vital records for the local area. Each record type has its own office that handles it. To acquire copies of marriage records, contact the Recorder of Deeds office at (660) 665-3890, and for divorce records, call the Circuit Clerk at (660) 665-2552. Both offices are located in the Adair County Courthouse at 106 W Washington Street in Kirksville, MO. To request birth or death records, contact the Adair County Health Department at 1001 South Jamison, also in Kirksville, and their phone number is (660) 665-8491. The state of Missouri also operates a central registry of vital records that are listed from 1910, however copies of said records are only available to qualified individual and not the public. The Secretary of State operates an Archives Department, as well, that does allow for research; they can be contacted at (573) 751-3280.